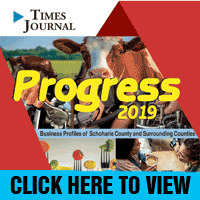 The guardian of Schoharie County’s health––past, present and future––is Eric Stein, and for that reason’s he’s the 2007 Times-Journal Star. 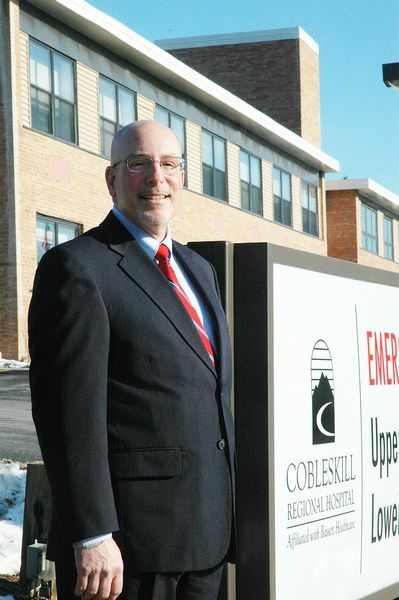 Now finishing his fifth year as President and CEO of Cobleskill Regional Hospital, Mr. Stein has the hospital on strong footing, poised to make far-reaching decisions in 2008. Under Mr. Stein’s direction, CRH in 2007 began extensive renovations, invested $1 million to bring in new medical imaging, bought the former Eden Park Nursing Home, began strategic and facilities plans and changed its name for a more community-oriented context. And for 2008, hospital leaders are considering establishing long-term care, expanding clinics and renovating Eden Park. Why does Mr. Stein do it? How does he find the wherewithal to deal with a myriad of health-care regulations in a volatile financial arena––and still come up smiling? Mr. Stein is quick to point out that he’s had help along the way. He credited the affiliation with Bassett Healthcare for the hospital’s stability and also noted the work of his CEO-predecessors, Jim Morrissey and Don Massey. As the hospital strengthened through its link to Bassett, it rebounded from its near-bankruptcy and began steady growth, especially in recent years. 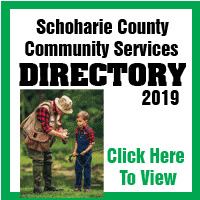 That growth was reflected in the name change last January, from Bassett Hospital of Schoharie County to Cobleskill Regional Hospital. CRH this year also started its first five-year strategic plan that hopes to match hospital services with what the community needs. Planned growth in the community, which Mr. Stein believes will happen, will require more services. One aspect of the plan would add more specialty clinics to the 19 CRH offers now. As opposed to the strategic plan, the facilities plan looks at how the hospital will use its physical space and particularly the effect Eden Park may have on that space. A leading member of the county’s Extended Care Committee that formed after the nursing home closed, Mr. Stein feels a skilled-nursing facility for part of Eden Park is a possibility. But with many nursing homes in financial trouble, such a facility can’t be a drag on the hospital, Mr. Stein said. Other options include the Bassett Healthcare practice on Legion Drive to Eden Park and shifting some of the hospital’s services to the nearby building. Mr. Stein won’t make any of those decisions alone. He regularly depends on input from staff and CRH’s Board of Trustees, a management technique he learned from more than 25 years in hospital administration. A SUNY Albany grad with a degree in biology, Mr. Stein said he was “always interested in health and medicine” and was intrigued by the field of hospital administration. He took a job in a lab at Albany Medical Center––“to see if I liked the environment”––and shortly afterwards earned an advanced degree in hospital and health services at Ohio State. He worked in Cleveland-area hospitals for nearly eight years before seeing an ad for Ellis Hospital in Schenectady. At the time, Mr. Stein and his wife, Kathie, were settled and had three sons, Samuel, Jonathan and Barret. “Kathie was a Schenectady native, and she said, ‘I’m going back to Schenectady, so you better get that job if you want to come,’ ” Mr. Stein said, laughing. So he did, staying at Ellis for 14 years as a vice president for planning and marketing and later, administration. After the Ellis job ended, Mr. Stein did consulting for Schenectady County, worked for a medical group and wrote grants. 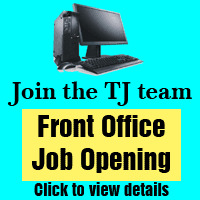 And then the Cobleskill position opened. “My career has been in hospitals, and it’s tough working for yourself,” Mr. Stein said. “I knew some of the Bassett people and Bassett’s excellent reputation. Additional stories on Mr. Stein’s contributions can be found on the front page of this week’s Times-Journal.